20 Plasters, 2 Bandages, 2 Antiseptic Wipes, 2 Wound care Dressings, Emergency CPR Mask, Swabs and other items. This kit is ideal for company vehicle use. Complies with & exceeds OSH recommendations. 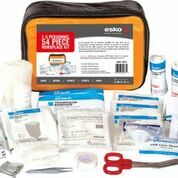 20 Plasters, 2 Bandages,Emergency CPR Mask, Wound Dressings, Triangular Bandage and more. 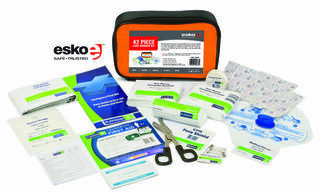 This kit is suitable for use with up to 5 personnel.